The Odisha government on Wednesday came up with specific guidelines on transportation of dead bodies from hospitals. 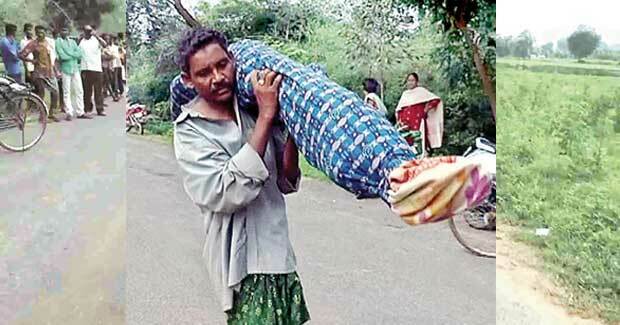 The notification issued 40 days after tribal man, Dana Majhi, walked 10 km carrying his wife’s body on his shoulder after being allegedly denied a hearse by a hospital in Kalahandi district. In the guidelines, the health department has said that a body should not be allowed to be carried on shoulders, or strung on a pole, or carried in any manner that compromises the dignity of the dead. For medico-legal cases, the government will provide police stations with funds for transport of dead bodies will be provided to all police stations. While police stations in urban and rural areas will be provided Rs 1,000 and Rs 1,500, respectively, they will be given Rs 2,000 in special cases. In cases where the family asks for a carrier, the district collector should provide funds up to Rs 2,000. The guidelines also say that regular meetings should be held to ensure that the family receives help in transportation of dead bodies and completion of last rites.